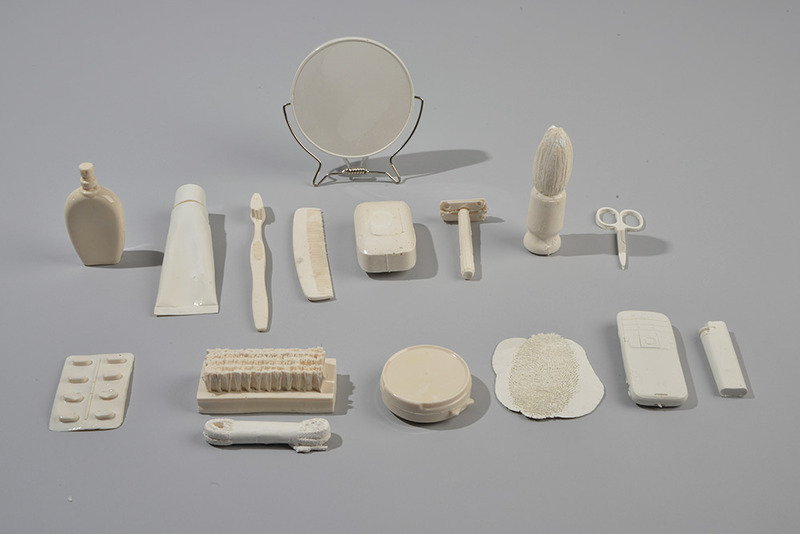 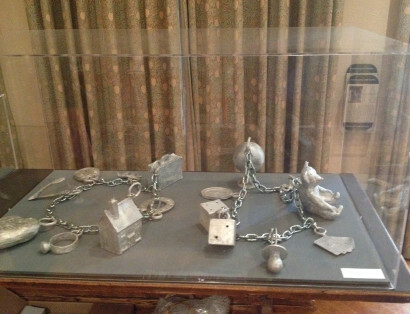 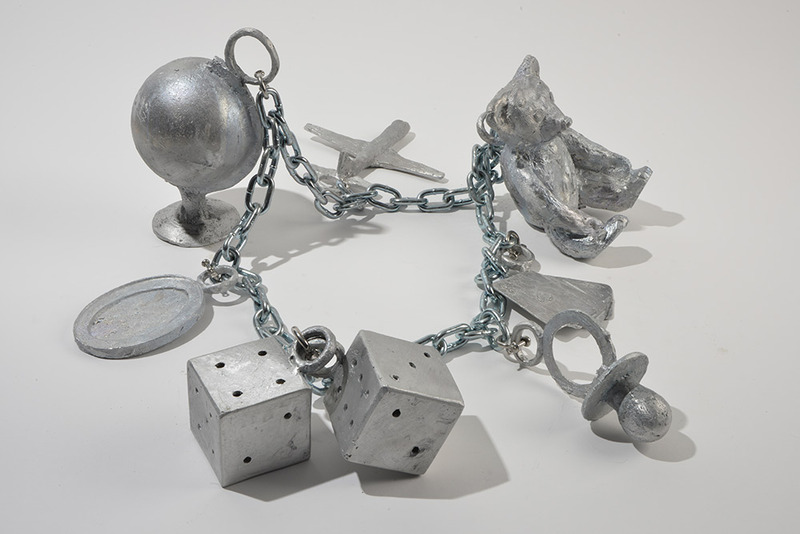 Charms and Other Anxious Objects was the result of Paul Coldwells visual research in the archives of the Bethlem Royal Hospital and the Freud Museum, and engaged with notions of anxiety, self-perception, worth and identity. For the exhibition Paul Coldwell developed a series of sculptural works and limited edition prints, “Soundtrack to an Anxious Life” see details below. “Soundtrack to an Anxious Life” consists of 16 colour postcards, 15 which include the title of a popular song e.g. 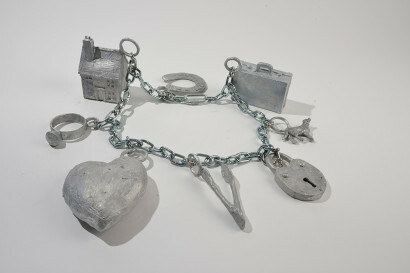 What becomes of the Broken Hearted?, Will you Still Love Me Tomorrow?, and Who knows where the time goes. 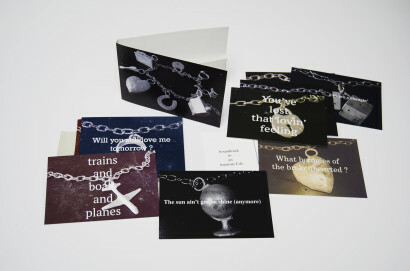 The sets of postcards are signed and numbered in an edition of 50 by the artist, price £20 inc postage. Soundtrack to an Anxious Life is presented in a wallet 16 x 11.5cms and has been made to accompany the exhibition Charms & Other Anxious Objects.